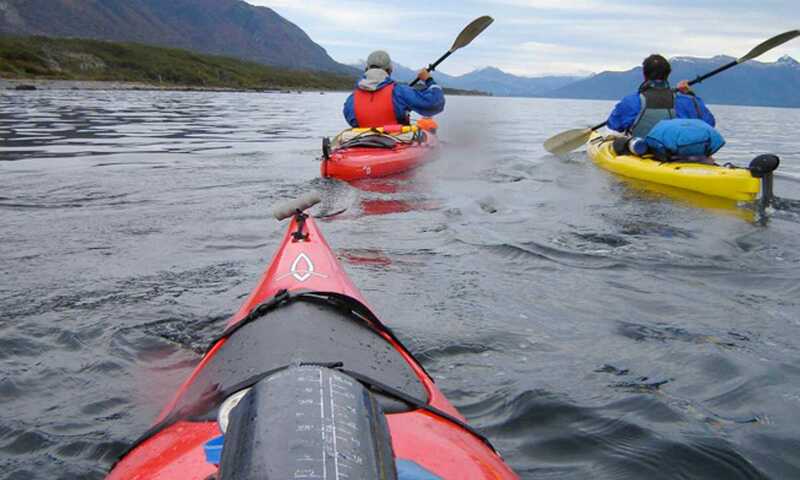 Kayaking your way along the beautiful Ultima Esperanza Fjord, explore the lakes and bathe in hot springs. 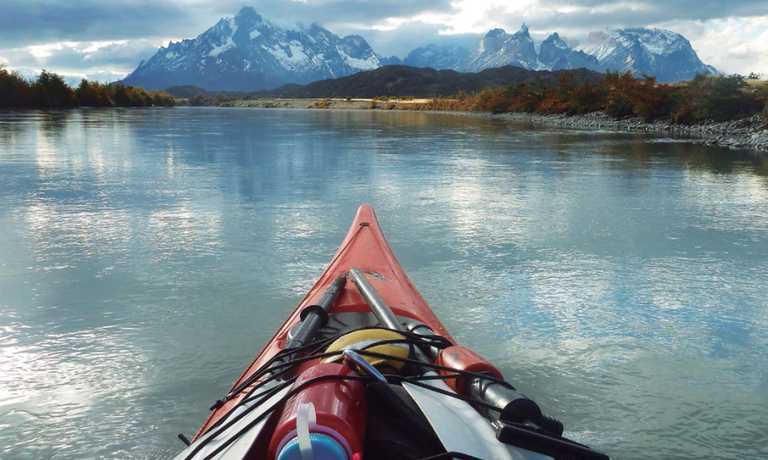 You'll spend 12 days in the water, camping each night, with lodges and hostels in the towns of Puerto Natales. 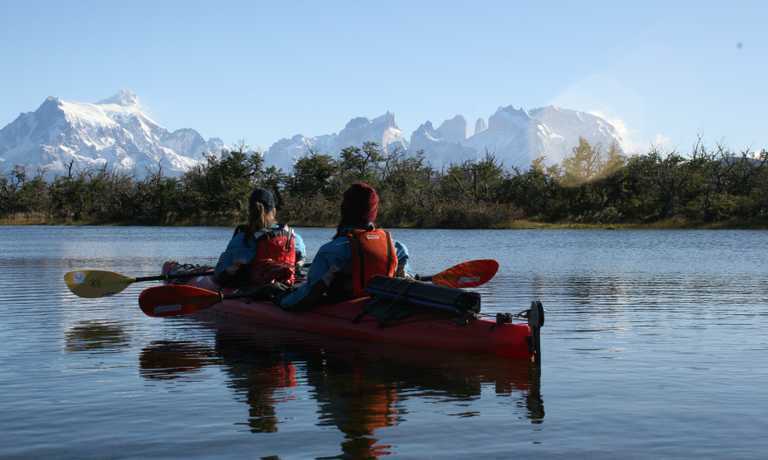 Our guide will meet you at Punta Arenas to take a private transfer to Puerto Natales (3 hours). Lodging & dinner at a local hostel, with a trip briefing. We begin with a private transfer to the Montt Gulf, 40km from Puerto Natales at the West border of Ultima Esperanza. 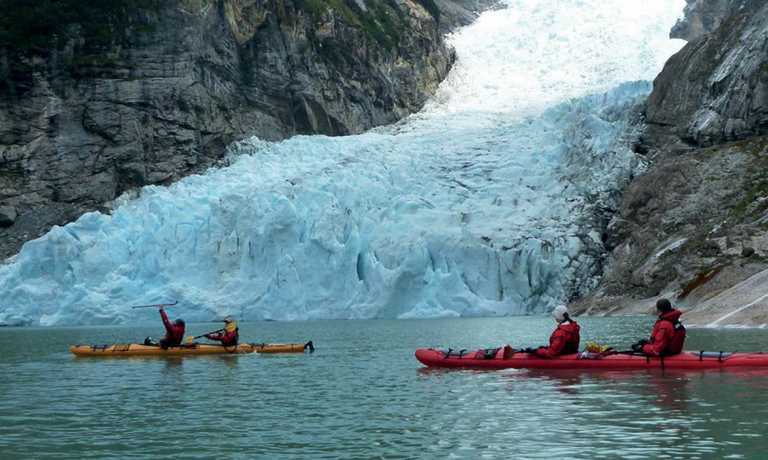 We'll paddle around the North face of Cerro Rotundo, reaching the entrance of the Obstruccion Sound where we begin to head south visiting the working water Estancias and other settlements that were abandoned after the early 1930's. Within the first 4 days paddling and exploring the fjords, you will see the kingfisher in its natural habitat and have the possibility of playful dolphins accompanying us along the way! Covering a total of 110km we'll reach built platforms to set up a logistic campsite to spend the night. The next morning we will begin to drag the kayaks in the first section of the Paso de Indio (Indian Pass) to Munoz Gamero lake and then on to the massive Skyring fjord. This usually takes around 2 days, during which we'll continue with the navigation until we reach the aguas calientes (hot springs). Here you will enjoy relaxing in these remote and untouched springs. We should reach our final destination, Estancia Skyring, in 3 days. This is where our journey ends and we head back to Puerto Natales in our private van for well deserved rest and farewell dinner. Lodging at a local hostel. The trip ends with a private transfer to Punta Arenas. This trip can run as a group trip, with prices starting from $2,710 per person for a complete group. If you are looking to join a group or you are a solo traveller we will help to form likeminded groups of travellers. Please let us know your travel plans. The price of USD $2,710 per person is based on a group of 2 people. Discounts are available for groups of 3 or more.